Bishop Lavis: Police members deployed in the Bishop Lavis area to fight the scourge of gangsterism, participated in efforts to rid the area of gang related shootings. The members responded to a complaint of shooting incident that took place today on the corner of Plakkies street and Valhalla Drive, Bishop Lavis where a 20 year old female was shot and wounded. followed up on information they received from the community and proceeded to Kreefgat. As the members approached the area they noticed two men who fitted the description they received from community. 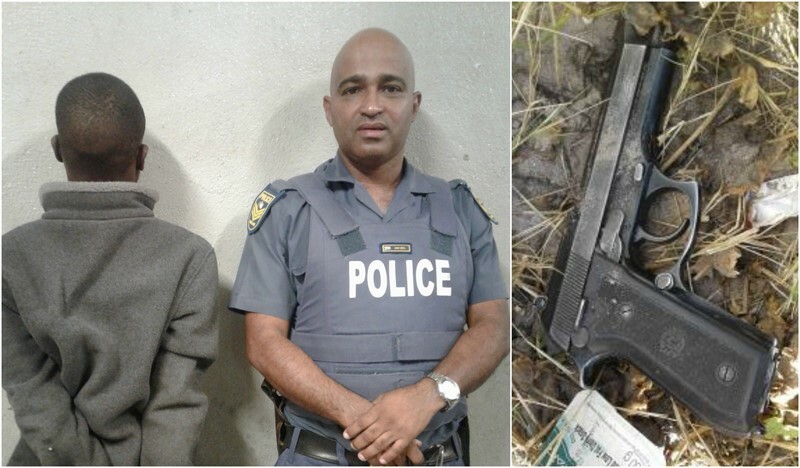 The two suspects were carrying a wooden box and upon searching it, police discovered two firearms and two extended magazines with a total of 47 rounds.